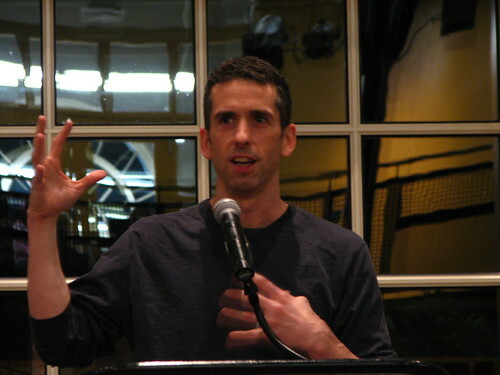 Dan Savage. Photo by soundfromwayout. It’s all available via www.thestranger.com! With its mildly lefty contrarian tone and frequent crossovers with NPR – and, I should say, solid but accessible policy analysis and spot-on cultural reviews – Slate has long been a staple in my online reading. It’s also been a staple in my podcast lineup, ever since I got my first iPod and suddenly needed something to put on it for long spinning sessions. Since several of the Slate podcasts are calling for listeners to recruit more listeners this week, I thought I’d note my favorites, and where to get them. Political Gabfesters Emily Bazelon, John Dickerson, and David Plotz at a live Gabfest event last May. Photo by presta. Conveniently, you can subscribe to each of these individually at the links I’ve given above (they’re all on a weekly-ish cycle, with Spoiler Specials somewhat less frequent), or get them as part of Slate’s daily podcast stream. If you go with the daily stream, you’ll get a few less-frequent ‘casts I’ve left out, that are nevertheless good when they show up. I’m moving back into a labwork-intensive schedule at the moment, which means that I’m burning through podcasts like nobody’s business. Fortunately, I’ve recently been sucked into the orbit of Too Beautiful to Live, the online incarnation of Luke Burbank’s daily talk/music/newsish show. I only found TBTL after it lived up to its its name by getting dropped from the air by Seattle-area radio station KIRO. Which sounds like damning with faint praise, now that I re-read it, but really isn’t. I mean, Studio 360 doesn’t usually make that particular cut. Anyway, you should totally subscribe. * The appropriateness of which subject matter was discussed in today’s episode, which was basically a recorded conversation between Luke and his girlfriend on a drive to down to Portland, and which achieved an almost “30 Rock”-grade degree of meta. ** Except for that one occasion when I had to dive across the lab to hit the volume control and kill Jen’s Swedish Chef impression just as my (Swedish) dissertation advisor walked in the door. I’m barely five minutes into the new Radiolab podcast on parasites, and I’m already going to recommend it just for the introduction, in which Robert Krulwich watches that scene from Alien for the first time. 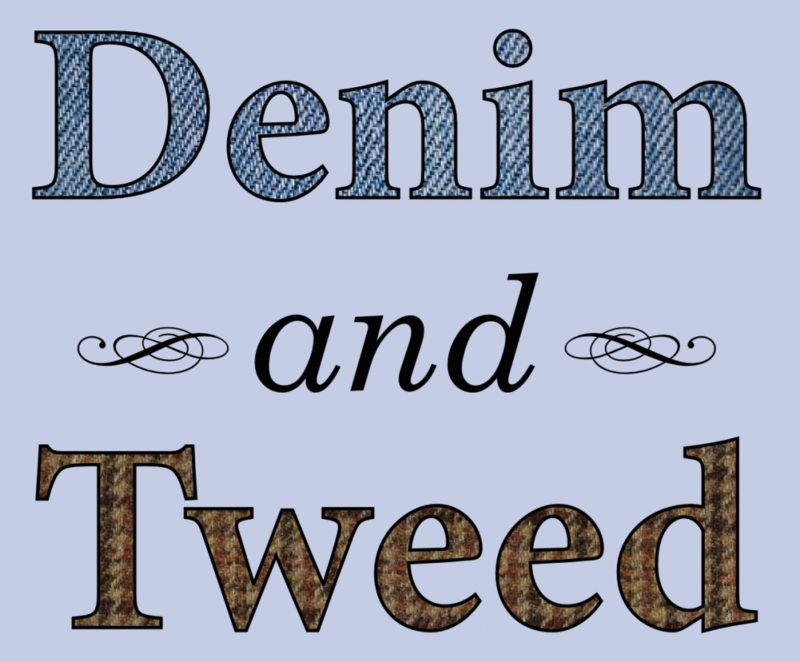 Which is online here, for the nonsqueamish. 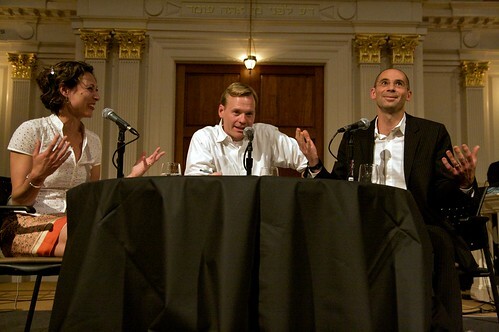 Photo from the Radiolab blog. But somewhere in that nightmare of work [leading up to graduation] you may have noticed that your teachers were giving you more than tension headaches. They were giving you values. A deep respect for curiosity. For doubt, always doubt. For open-mindedness. For going wherever the data leads, no matter how uncomfortable. But that doesn’t do it justice. Go listen to the whole thing. Now. My new favorite podcast is Radio Lab, from New York Public Radio. It’s sort of Nova plus This American Life, with a heavy dose of the Douglas Adams sensibilities that I’ve come to associate with co-host Robert Krulwich. And it’s awesome. What’s on my mind right now is the episode of 28 April 2006, “Morality”. It delves into emerging studies of the biology of human morals – what parts of the brain are involved in moral decision-making, and how evolutionary history shaped them. A key point is that there are two kinds of moral thinking, rules-based decision-making (“Thou shalt not kill”) and calculating (“the needs of the many outweigh the needs of the few”). And these two kinds of moral thinking take place in different parts of the brain. When they come into conflict, maybe because you’re thinking about killing someone in order to save several other people, a third area of the brain kicks in to decide between the two. This third area is (apparently) entirely unique to humans – not even chimpanzees have it. But chimpanzees (and other apes) do have the rules-based moral thinking area. It helps them get along with other chimps. Which means that rules-based morality is evolutionarily primitive. If they could write, chimps could probably come up with most of the Ten Commandments! Where does that leave Christian morality? Is it all just pre-programmed behavior wrapped up in unnecessary mysticism? No. As it happens, I’ve just finished reading Michael Ruse’s excellent book Can a Darwinian Be a Christian? (Cambridge University Press, 2001), which addresses exactly this question. And, as Ruse points out, Christ’s teachings call us to live beyond the Ten Commandments – those moral principles that seem to crop up in every human belief system. If you love those who love you, what reward will you get? Are not even the tax collectors doing that? And if you greet those who greet you, what are you doing more than others? Do not even pagans do that? Be perfect, therefore, as you heavenly Father is perfect. In other words, Christians are to exceed the dictates of morality that everyone already follows. We’re to transcend our biology, using that part of our brain that sets us above the rest of the animal kingdom.